Director of KITE - a wholly-owned Ghanian Energy and Environment non-profit organization. Mrs. Amissah-Arthur holds an MBA (Finance) degree from the University of Ghana, Legon and a Bachelors Degree in Electrical & Electronic Engineering from Kwame Nkrumah University of Science and Technology also in Ghana. 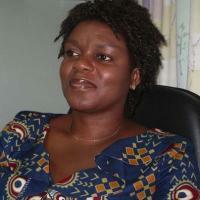 In 2004, she was appointed the Director of KITE - a wholly-owned Ghanian Energy and Environment non-profit organization. She, among other endeavors, led KITEs participation and contribution to the drafting of the ECOWAS (Economic Community of West African States) White Paper on Access to Energy Services in rural and peri-urban areas. Mrs. Amissah-Arthur worked with the Volta River Authority (a Power Generation and Distribution Utility) for over 17 years where she served in various capacities. She established Kallidad Enterprise, a wholesale African Textile distribution business in 1995 and remains the proprietress to date. She is a Partner of Arthur Energy Advisors, an advisory services firm that provides professional technical expertise and support to project owners, developers and investors in Energy Sectors across Africa. Mrs. Amissah-Arthur served for several years on the Council of the Ghana Institution of Engineers and had special responsibility for Women in Engineering (WINE). Mrs. Amissah-Arthur has twenty five (25) years of working experience; out of which nineteen (19) was spent serving in various capacities with the Volta River Authority (VRA), Ghana's Power Generation and Transmission Utility. She has extensive experience in power generation and transmission equipment operation and maintenance. She has also spent many years in strategic and business planning, maintenance/spare parts planning and management support to a number of departments and units of the VRA. She has since May 2000 managed the African Rural Energy Enterprise Development (AREED) Program and has considerable experience in enterprise development especially with respect to small and medium scale energy enterprises. She has championed, promoted and managed a number of development projects in the areas of Energy and the Environment including Energy, Gender and Poverty issues as well as KITE's Clean Development Mechanism (CDM) portfolio.